My new dining room wallpaper and placemats are classics. That’s not just an expression of how much I like them, they are actually classic examples of the late Victorian ‘Arts & Crafts’ movement, and its most influential designer’s work, William Morris. They’re not antique original Morris & Co items, which are super rare and sought after, but fortunately there’s a thriving modern industry reproducing these works. Which is ironic, really, because Morris was dead set against that sort of thing. He didn’t like industrialization, or mass market products. Morris believed in accessible art and beauty for all, not factories that fed society’s emerging appetite for consumption. Have nothing in your house that you do not know to be useful, or believe to be beautiful. Design isn’t just what it looks like or feels like, design is how it works. 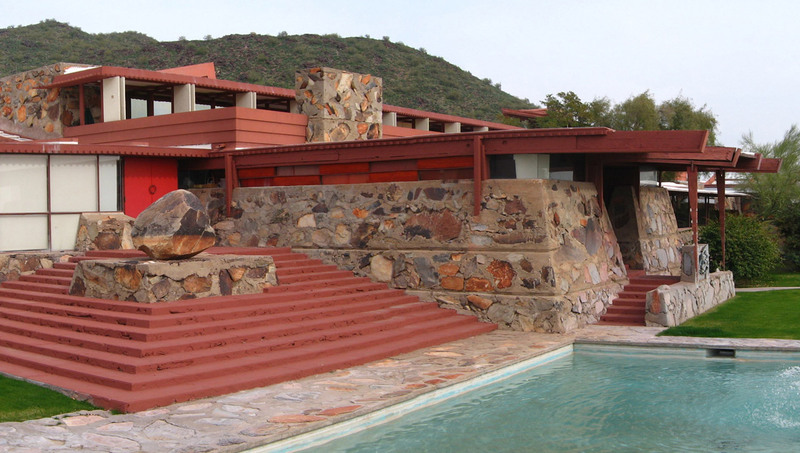 Greg O'Beirne/Wikimedia Commons via Creative Commons license, One of the buildings at Taliesin West, the Frank Lloyd Wright School of Architecture's main campus. That’s expressing a very similar sentiment, the critical need to balance usefulness with aesthetics. But how is it that two very different men (Morris was a prolific socialist protagonist, Jobs was a superstar entrepreneur and billionaire) shared such a similar vision for their work? For all his exceptional talents, Jobs was running with a ball Morris and his contemporaries threw at the end of the 19th Century, and written on that ball were three words that define UX today: Human Centric Design. Before we get carried away, it’s important to note that in the century between the Arts & Crafts movement and the digital revolution, a lot of great names ran with that same human centric design ball, and they ran with it in many different directions. 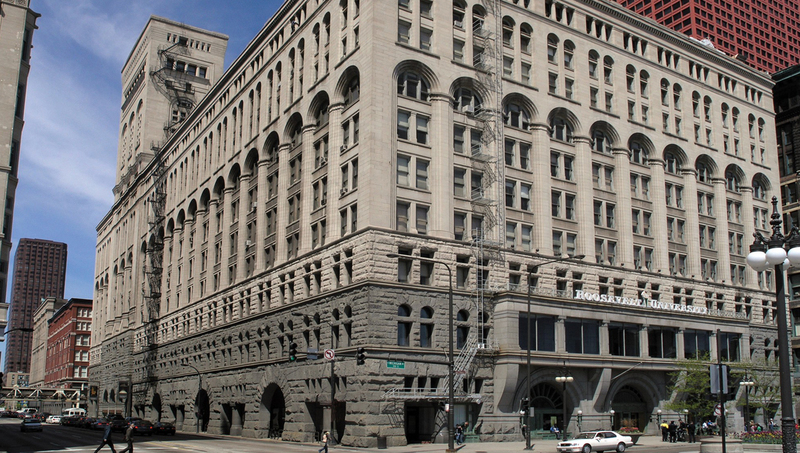 Legendary architect Louis Sullivan did not aspire to create beautiful things, he was driven entirely by functionality and created vast buildings that were iconic and impressive, beautiful to some eyes, brutal slabs of concrete and glass to others. William Morris wouldn’t have approved. Morris’ contemporaries, like A.W.N. Pugin (who designed the Houses of Parliament) celebrated gothic designs and stone masonry, highly decorative handicrafts, not angular high-tech engineering. But the connection the Arts & Crafts movement made between how something looks and how it works, was distilled to its purest form by the likes of Sullivan. I never design a building before I’ve seen the site and met the people who will be using it. It’s interesting how, even today, some (few) businesses still find it hard to quantify the return of investment of UX programmes, yet everyone recognizes the most iconic UX-driven buildings and the work of legendary UX-driven designers. In fact, anyone who’s shopped in Ikea – which took the small scale, high cost Scandinavian school of human centric design that began in the 1950s to a mass produced, low cost global market – is experiencing the ROI of UX every time they put their socks in that groovy soft-close drawer unit in their bedrooms. 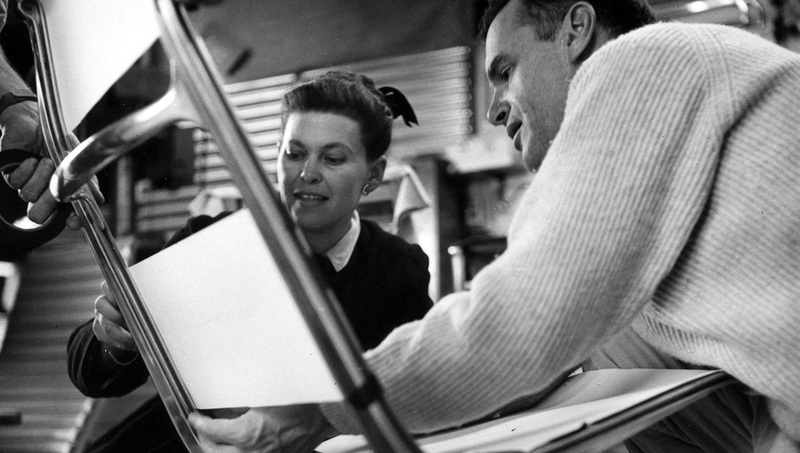 Charles Eames, and his wife Ray, were globally recognized for their influence over modern mass produced designer furniture in the ‘50s, ‘60s and ‘70s. They drew heavily on the same philosophy that Frank Lloyd Wright expressed about a user-centered approach to design. The Eames recognized the critical need for user research and testing new designs. That quote speaks to the idea that while tastes and fashions change, meeting human needs through design solutions is a constant requirement. Recognizing need is what user research is all about. Human needs provide the ‘why’ to match the ‘how’ that explains the reasons some designs work, and others don’t. Delivering good user experiences determines the long-term success of a product more than the buzz of a new style or trend. That’s why undertaking design research and studying user journeys are so important in modern design practices. Take a browse through any museum collection of iconic designs (and many workplaces, designer furniture shops, Ikea and probably your home) and you’ll find shapes and styles inspired by Charles and Ray Eames, Ludwig Mies Van Der Rohe, Frank Lloyd Wright, Le Corbusier, Verner Panton, Philippe Starck, Marc Newson and Apple (to name but a few). Their celebrated, diverse works and styles were the product of innovations in both design and usability, reflecting changing social attitudes, lifestyles and trends, but they all shared a core design philosophy that was espoused by a man who hand-printed 12th Century designs onto handmade wallpaper… in a shed in the middle of nowhere. And Morris’ design philosophy was an early expression of the same UX principles we use today in everything from product development to service design. Just with more embroidery. Art by the people for the people… a joy to maker and the user.